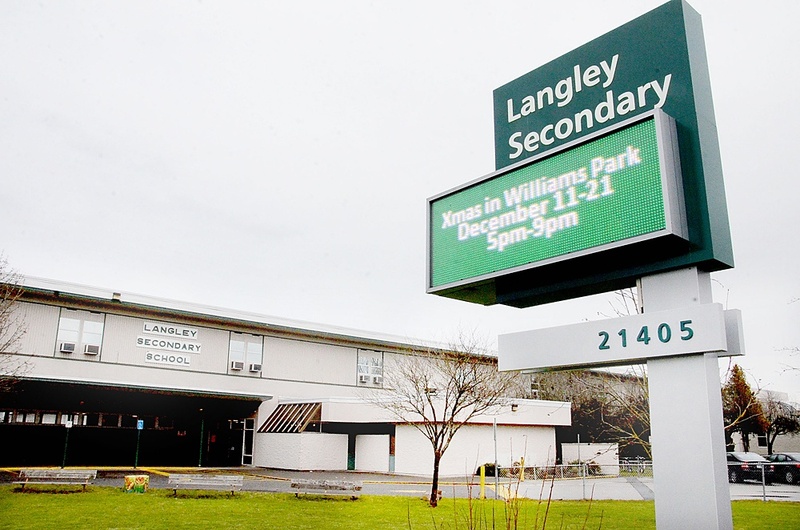 The Langley School Board announced it will consider a motion to close Langley Secondary School. And trustees are very worried about touching off panic with just the suggestion. At the Dec. 15 meeting the trustees gave a notice of motion on considering closure. That motion will come up at a future school board meeting. The notice of motion to consider closure and subsequent motion are housekeeping moved to follow the districts policy on school closures. The closure of LSS because of the high cost of seismic upgrades, is one of several options the district is discussing as part of its long-term facilities planning. â€œIf we waited until January when a business case is actually developedâ€¦ that someone could claim the decision had already been made,â€ explained secretary-treasurer David Green. Trustee Alison McVeigh said just making the motion will make people anxious and said the closure was one of the options stakeholders brought up during the consultations over the past couple of months. Trustee Megan Dykeman said the district policy lays out a process that improves transparancy and communication. â€œI can assure you decisions have not been made around this issue,â€ said Trustee David Tod. Coming out of the consultations were suggestions such as returning to having a high school in Langley City, reconfiguring schools such as Simonds Elementary into a middle school to take advantage of excess capacity and take pressure off other overcrowded schools, and busing students from crowded areas to schools with more capacity. Stakeholders also, at the consultation meetings, asked the district what plans will be put in place in the interim until more schools are built in the fast-growing Willoughby area. People can find out about the long term facilities plan, the work thatâ€™s been done so far and whatâ€™s to come online at www.sd35.bc.ca/ltfp. The Ministry of Education told the district to have a business case ready for January on its long term facilities plans as the province works through the budget process, and in case any new money becomes available. The business case specifically refers to the LSS and R.E. Mountain Secondary communities. While LSSâ€™s main issue is age, Mountainâ€™s is overcrowding in the Willoughby slope. If the district does decide to move forward with the LSS closure process, there is a lengthy process required including a 60-day consultation phase and ultimate approval by the ministry. Thereâ€™s more consultations before anything is decided. â€¢ Jan. 14: public open house on the long term facilities plan. At the board office at 5:30 p.m.
â€¢ Jan. 14: a meeting with DPAC. In the board office at 7 p.m.
â€¢ Jan. 27: next regular school board meeting. At 7 p.m.
â€œAt the end of the day, the school may or may not close but we still have to go through the process,â€ Green explained.